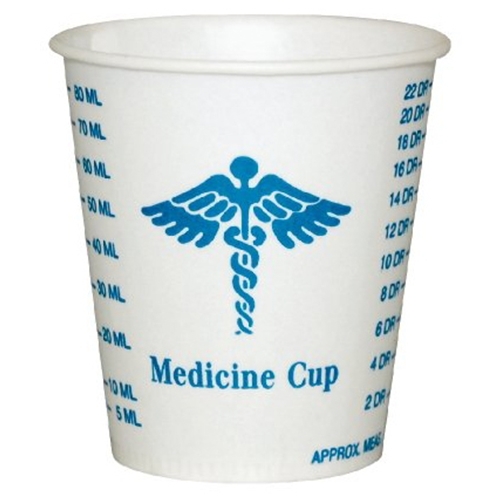 Solo Paper Medicine Cups from HealthyKin.com are fully wax coated 3oz cups. The two piece construction and tightly rolled rim produce a high quality drinking cup. Great little cup for measuring all kinds of liquids, especially shots of Tequila. Excellent product, fast shipping, good price! perfect for our school clinic! I ordered a tube of 100 of these for a party to celebrate my son graduating medical school. I filled them with personalized M & M's that said "Doctor (and then his last name). The only thing was that when delivered, they came in a giant box about 10 times bigger than needed and stuffed with air bubble wrap. A little overdone for one tube of cups. But the product is great and I'm glad I ordered them. They work great for mixing small amounts of epoxy.